Browsing Santa Monica apartment rentals, and looking for a cozy place to call home? You’ll love our Oak Street property. Located south of the 10, near the Ocean Park neighborhood, it’s the ideal central locale for the Santa Monica resident who wants it all. Families will find John Adams Middle School and Grant Elementary within walking distance, while college students will be just a few blocks from Santa Monica College. Travel often? 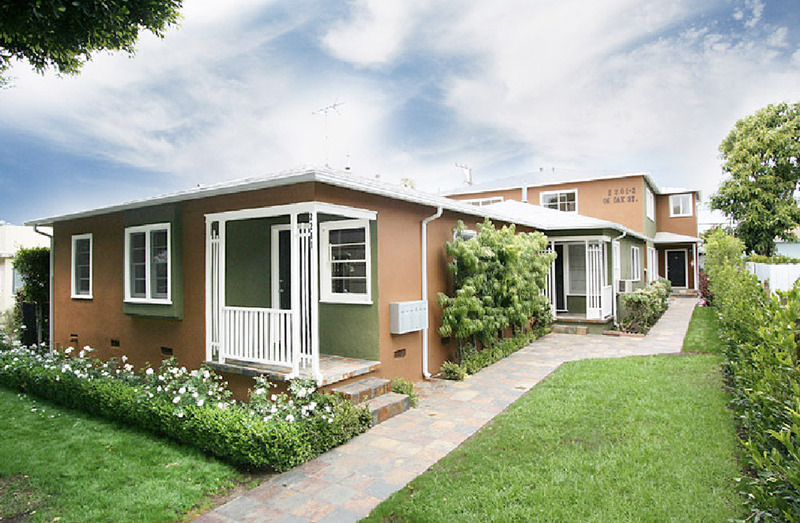 No location is more convenient, with the Santa Monica airport right around the corner. Grab a bite at Shaka Shack Burgers down the street, or – since we allow pets on a case-by-case basis – take your dog for a walk at Clover Park. And remember – the Santa Monica beach and boardwalk is always just a short drive away! All units have been remodeled with new plumbing and electrical work, and feature beautiful hardwood floors, while kitchen and bathroom areas have tile counters and flooring. With slate walkways outdoors and a handsomely landscaped front yard area, you’ll feel right at home on Oak Street!